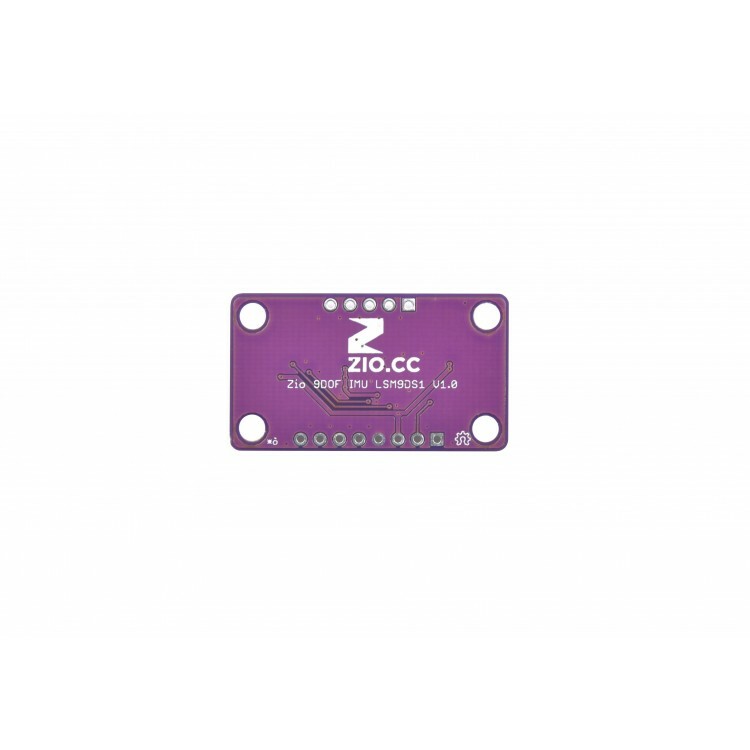 The Zio 9DOF IMU LSM9DS1 is an all-around good pick for any orientation needs that don’t require on-sensor fusion. 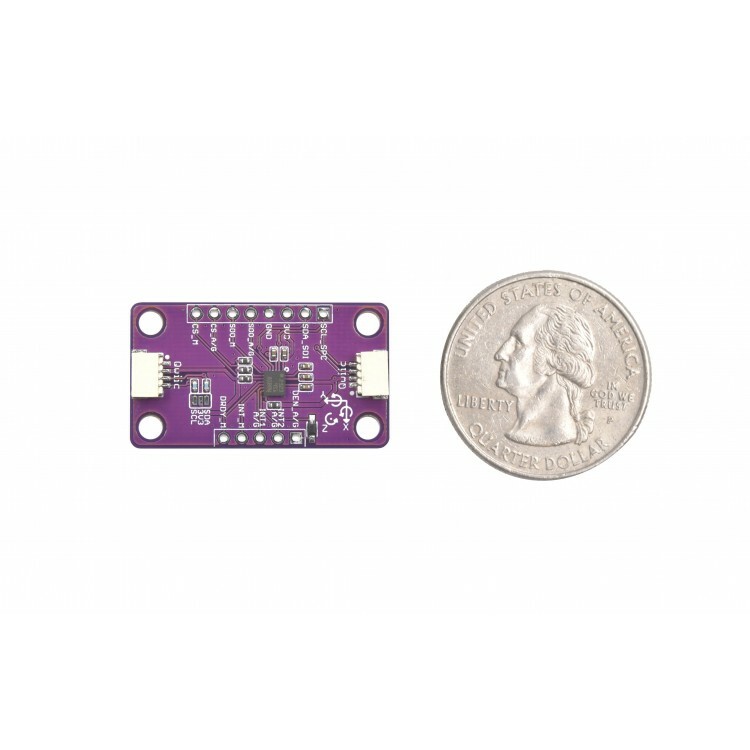 Like other 9-Degree-of-Freedom (9DOF) Inertial Measurement Units (IMU), it combines a 3-axis accelerometer, 3-axis gyroscope, 3-axis magnetometer in one tiny IC. Those sensors measure linear acceleration, angular velocity, and magnetic field strength, respectively. Additionally, there is an on-die temperature sensor that can be used to offset the effects of temperature on the other three sensor types. With the right code to interpret all of this data, you can get a an excellent idea of the sensor package’s orientation in space, and the amplitude of the forces affecting it, even as it moves. You can use this to knowledge to stabilize a drone, a camera gimbal, or an electric unicycle. Or you can use it to capture and analyze the movements of a human or, for that matter, anything else that moves. The sensor will output 10 different pieces of raw data: acceleration in x/y/z, angular rotation speed in x/y/z, magnetic force in x/y/z, and temperature. Combined, this information can be used to produce a clear image of an object’s movement and orientation. 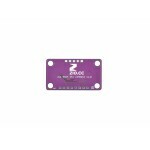 We’ve brought this solid little chip into the Qwiic ecosystem by mounting it on a breakout board equipped with two Qwiic connectors. It can easily and quickly be daisy-chained to any other I2C boards in the system. 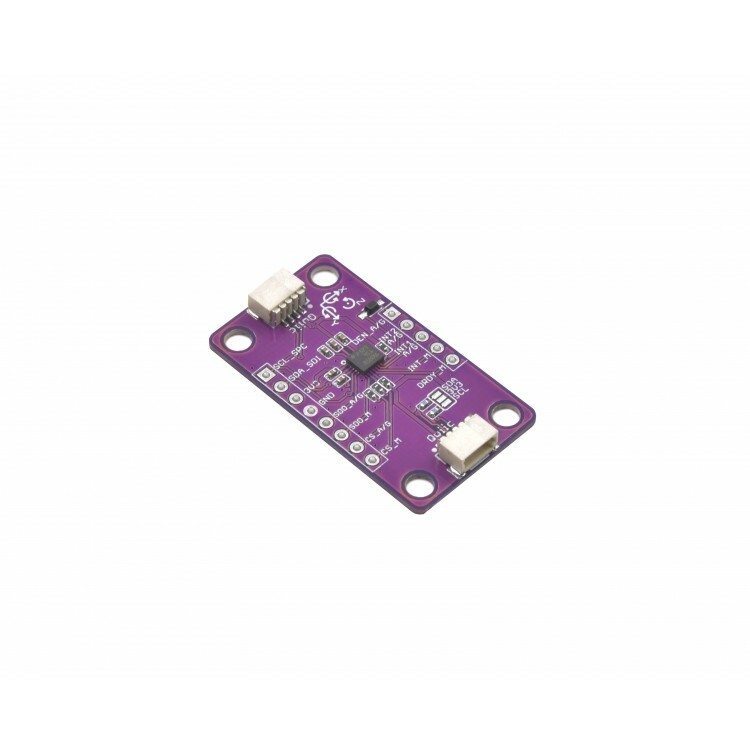 We’ve opted to break out all of the pins for this sensor, making this a good general-purpose IMU breakout, and be used with SPI if you need a faster interface to your MCU. 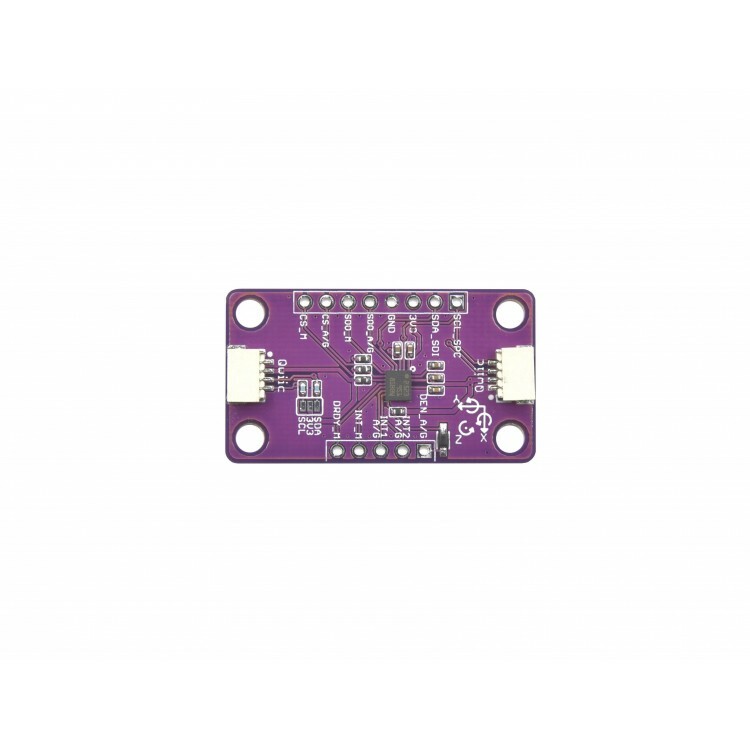 There is a wide-variety of applications that this board can be used in such as AR, VR, robotic SLAM navigation, gaming, fitness tracking, context awareness (identification of the scenario in which a user is currently engaged), model rocket telemetry and more.